I once had the audacity to call the negroni "the best cocktail in the world," expecting an eruption of indignation from manhattan-lovers, martini-swiggers, even bloody mary true believers. Whether no one gives a fig about my opinion or the fact that I backpedaled to safety by admitting my love for other cocktails and saying it was just my favorite cocktail, I never heard a peep from the Angry Internet Men or anyone else, for that matter. Fine. I've been served other drinks that purported to be negronis, those containing Fernet or Carpano or other such variations that weren't bad, mind you, just not that delicate dance of sweet and bitter and cool that the classic gin-campari-vermouth combo does on my tongue. Someone once served me a "white negroni" made with verjus that set up a totally wrong expectation that fell quite literally flat. 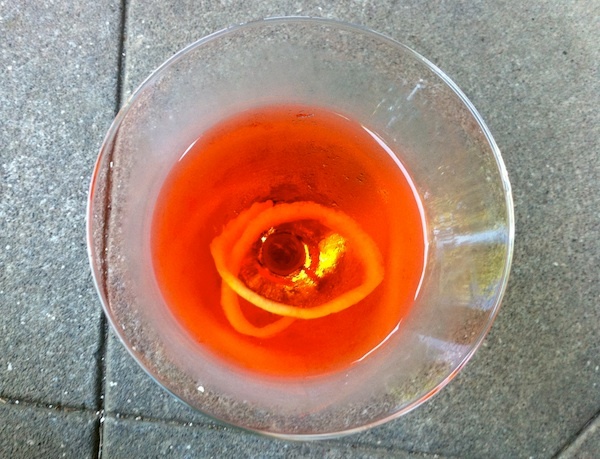 Other cocktails mimic the combination and have the decency to not fall in the "call it a negroni and people will be more likely to try it" camp. The Boulevardier is a terrific example, taking the basic negroni recipe and making it into something completely new and distinct. Dave, bless his soul, in his neverending quest to find new and delicious beverages, ran across a recipe for a negroni-like drink called "The Unusual Negroni" on the Hendrick's Gin website. 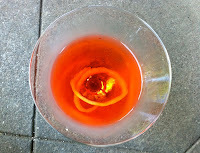 Unusual it was, made with Hendrick's, Lillet and Aperol. We tried it and…meh. So he made another version, this time using Cocchi Americano and a lemon twist and…aaaaahhhhhhhhhh! 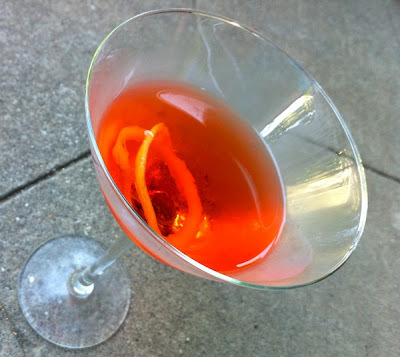 And while it will never replace our beloved negroni, it's a really good cocktail deserving of its own distinct identity. Shake. Pour. Add lemon peel twist.